We’re proud of our diverse team. We hire talented people from a wide variety of backgrounds and experiences and we even hire those without any work experience. We believe in developing young team members new to the workforce and are happy to have them as part of our family. We have nine companies and over 56 different roles all in the Alexandria area. Our Passport program allows you to travel to a different Jason Yates Company if you’re looking to try something new. One application ... endless opportunities. We believe in working hard, playing hard and taking care of our team. Your family matters to you, so they’re important to us, too. In addition to team building events and various recognition programs, we offer the following to you and your family: medical and dental insurance, employer contributions to your 401K, paid vacation, and flexible work schedules. Jason Yates Companies are family owned businesses in Alexandria. The Jason Yates family has been one of the top employers in the area for more than 50 years. 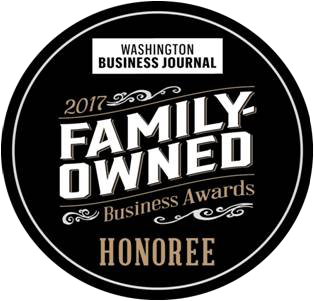 Their success was recently recognized by the Washington Business Journal and was given the 2017 Family Owned Business Award. We’re looking for the best and those that are a fit for our team. If you operate under the values of honesty, integrity, respect, excellence; and have a motivated work ethic and passion for customer service, we can’t wait to meet you. Lifelong learning is inherent at Yates. We offer opportunities for personal and professional growth. © 2017 Jason Yates Companies.